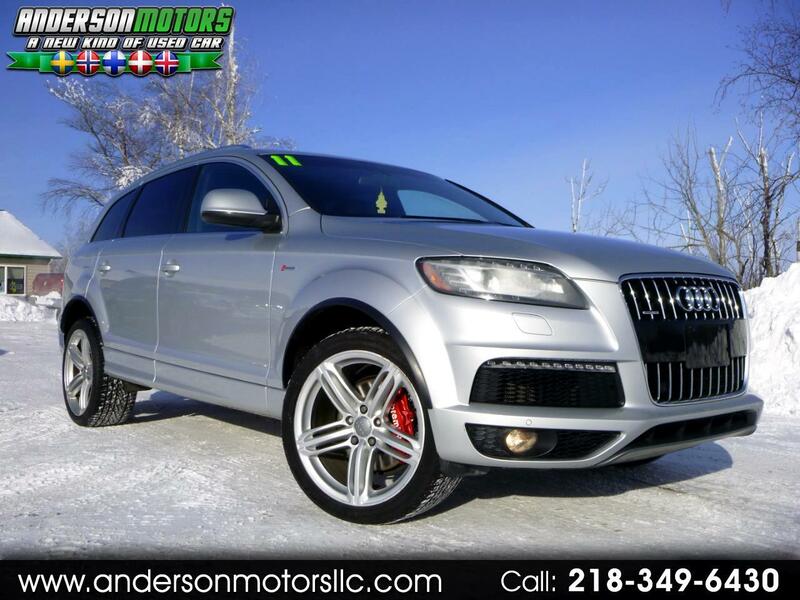 CALL JORN ANDERSON ON THIS FULLY SERVICED AUDI Q7 3.0T SUPERCHARGED S-LINE PRESTIGE! This one's in nice shape inside and out and has had the Achilles heel of Audi's just maintained...the greatly feared timing chain job! Over $5,000 worth of work has been professionally performed so that you can enjoy this beautiful machine for years to come. New Audi brand Timing chain kit, new front brake pads and rotors, oil change, and more. LOADED with heated and cooled leather seating, power panoramic roof, premium wheels, Brembo brakes, navigation, power liftgate, backup camera and so much more. Don't risk buying one of these rigs with unknown mechanical condition...All paperwork included to verify repairs. Thanks for looking! !